Brian believes a society is judged by how we treat our most vulnerable. Today, one in three older Americans are economically insecure and more than a quarter of nursing home abuse goes unreported to authorities. Seniors deserve to live with dignity, free from worry, neglect, poverty and the injustice that stems from financial limitations, a lack of available resources and adequate protections against abuse and neglect. Strengthening Medicare and Medicaid to ensure low income seniors can afford and address their health care issues. This also includes simplifying prescription plan choices which are often confusing, and lowering premiums and deductibles which can be costly for those on a limited income. Seniors should never have to choose between food, rent and medicine. Advocating for policies that prevent fraud and financial abuse that specifically target seniors. Reinstituting the nursing home protections the Trump administration rolled back in 2017 that left people with disabilities and Seniors more vulnerable to abuse and neglect. Strengthening laws and policies that protect social security. A substantial number of seniors, particularly women and African Americans, rely on Social Security for most or all of their retirement income. Social Security is a benefit earned after a lifetime of work and should be strengthened, not gutted in order to reduce the deficit and pay for tax cuts for billionaires. Home Health Corp Program. Many seniors who would like to stay in their homes are forced to move into nursing facilities or group homes because of the lack of home care infrastructure. Brian’s Home Health Corps program retrains/upskills unemployed workers in their 30’s, 40’s and 50’s to become caregivers. The program then pairs them with seniors who want to remain at home at an affordable cost. 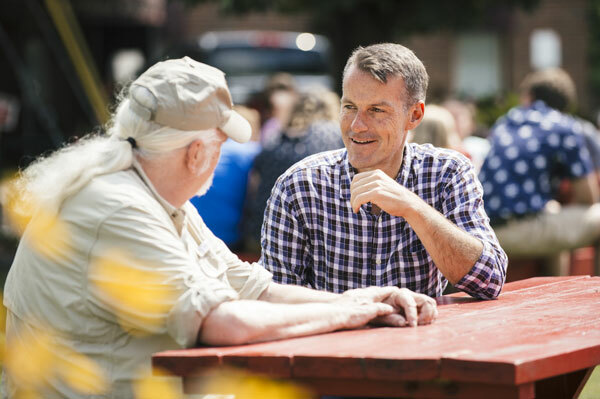 Not only does this program provide jobs in local communities and small towns across the country, it also saves tax dollars and allows seniors to live at home with dignity and security.